On 19 October 2012, today’s popular faces Varun Dhawan, Sidharth Malhotra and Alia Bhatt’s first film Student Of The Year was released and not only got success at Box Office also became one of the highest Grossing Bollywood Movies of 2012. Varun Dhawan, Sidharth Malhotra, and Alia Bhatt also gained instant fame. 24 April 1987 born Varun Dhawan started his career as an assistant director under his godfather Karan Johar in My Name Is Khan (2010) starred Shah Rukh Khan and Kajol in key roles and today he has established himself as one of the most successful young actors. After got a break in Bollywood and successful start, the veteran filmmaker, and his father David Dhawan signed him for comedy-drama Main Tera Hero (2014) proved that he is the big thing in Bollywood and can do action, dance, comedy or any other challenging roles. Super Hit Dulhania franchise first part Humpty Sharma Ki Dulhania (2014) received so much love when Student Of The Year duo Varun Alia came together for the second time and now among most loved on-screen Jodis. Sriram Raghavan directed action crime thriller Badlapur (2015) shown a different side of Varun and proved that he is versatile then Remo D’Souza’s dance film ABCD 2 in the same year won hearts and becomes his first 100 Crore film. Varun Dhawan’s collaboration with senior actors like Shah Rukh Khan and John Abraham in Dilwale (2015) and Dishoom (2016) respectively loved by the audiences. Then consecutive two centuries in 2017 through Badrinath Ki Dulhania and Judwaa 2 proved that he is one of Box Office Stars too. Apr 2018 release Shoojit Sircar directed romantic drama October proved that he is a star performer while the film failed to get much success at BO. Sui Dhaaga (2018) was a winner and Kalank is a masala enertaining. 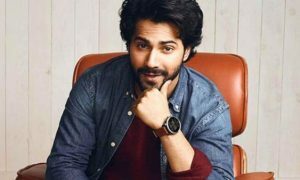 Here’s Varun Dhawan Box office Collection, Hits, Flops & Blockbusters List. 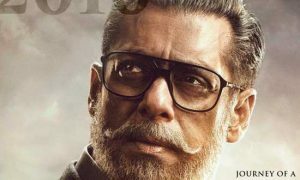 The actor has worked in ten films all are successful at Box Office. If you have any query regarding Varun Dhawan Box Office Report you may ask in comments below.